Always wanted to design your own custom Martin guitar? Here's your chance! 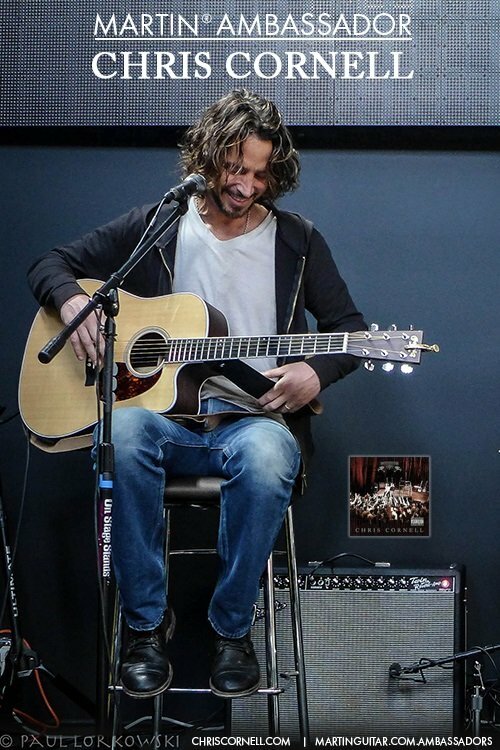 The late Martin Ambassador Chris Cornell was honored at the L.A. Chefs for Human Rights Hero awards. The GPCRSG is a cutaway Grand Performance model that is crafted with a Sitka spruce top and mutenye back and sides. frightened RABBIT RELEASES "RECORDED SONGS"
Martin Ambassadors Frightened Rabbit recently released their acoustic leaning three song EP. COME OUT TO GIRLS NIGHT OUT NYC! The D-21 Special is a limited edition dreadnought that will only be available through the end of 2017 and it’s definitely worth a look. Our friends at Richlite recently visited the Martin Guitar factory to see how Richlite is used in the crafting of our guitars.